Jock Finlayson (Business Council of BC) says exports are key to BC’s prosperity and forest products account for 1/3 of all exports. In related BC news: PwC says forestry contributes $13 billion to GDP, and 1 of 5 jobs in Northeast. Elsewhere: Nova Scotia’s premier meets with Northern Pulp’s union; and Anderson Windows opens new Arizona plant. In other news: a Nordic study ‘cements wood‘ as the future of construction; while a study funded by the cement industry questions wood’s carbon math; and—the cement association applauds. Elsewhere: the Rainforest Alliance says forests are a low-tech, high-impact climate solution; Ontario responds to logging reductions in Dryden; and BC finds its caribou pitch is ‘no easy solution‘. Finally, the News will arrive early again tomorrow as we’re croaking live from the COFI conference in Vancouver. Here are last night’s photo highlights. The BC Council of Forest Industries (COFI) kicked off their annual forestry conference—one of Canada’s largest— with a sold-out Ice Breaker in Vancouver. The two-day conference promises to be an outstanding event given the expected attendance of 650 delegates and high profile speakers such as David MacNaughton, Canada’s Ambassador to the US, BC Premier John Horgan and BC Minister of Forests Doug Donaldson. Susan Yurkovich, President and CEO of COFI opened the conference and welcomed the delegates. The event sponsor, John Desjardins, National Sector Leader, Forest Products at KPMG shared the stage, emphasizing the importance of the event and the forest sector to KPMG. Contrasting the current economic climate with last year, Desjardin noted the cyclic nature of the sector and how quickly its fortunes can change. To follow our pictorial record of the event, follow the link in the Read More below – we’ll be adding more pictures each day. The 2019 Council of Forest Industries kicked-off their annual convention Wednesday night with well attended Ice Breaker Reception. Held at the elegant Parq Hotel in Vancouver—the backdrop for the event featured over 50 trade show booths interspersed with gourmet food stations and plenty of room to network. In a small jurisdiction like B.C., raising real incomes over time depends in large part on the ability to increase exports and stimulate the growth of export-capable industries. Export industries provide many economic benefits, including by furnishing the income to enable us to pay for the vast array of imports we consume. In B.C., households and businesses rely entirely or mainly on imports to satisfy their needs for vehicles, pharmaceuticals, medical equipment, electronic products, clothing, many foodstuffs, and much else besides. Export industries also make a disproportionate contribution to the economy by offering generally above-average wages and salaries. …Forestry continues to occupy a central place in B.C.’s export portfolio, accounting for one-third of merchandise exports in 2017 (the last year for which detailed data are available). The top forestry exports are lumber and pulp and paper. Despite the many headwinds that has battered B.C.’s forest sector – pests, fires, duties, shrinking timber supply – it remains an economic “cornerstone,” generating $13 billion in gross domestic province and employing 140,000 British Columbians, nine per cet of whom are First Nations. That’s the conclusion of a new report by PwC. The report was commissioned by the Council of Forest Industries. Forestry generates jobs and economic activity in every corner of the province, but is particularly important to certain regions, like the Cariboo, where forestry accounts for 22% of the jobs. 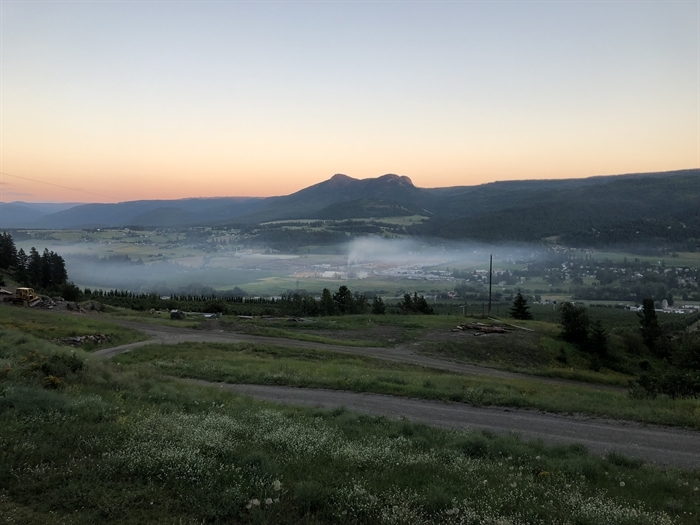 “This new study confirms that not only does the forest industry generate significant jobs and economic activity for the province overall, but these benefits can be found in every corner of the province” COFI president Susan Yurkovich said. B.C.’s forestry sector employs more than 7,000 people in the Northeast, putting hundreds of millions in family pockets and government coffers, according to a new report released today. The report by PwC was commissioned by the Council of Forest Industries, and released April 3, as a kick-off to its annual convention in Vancouver. …According to the study, forestry supports 7,702 jobs in the Northeast: 6,422 directly, and another 1,281 indirect and induced jobs related to the sector. The sector generates $422 million in income for workers in the region, $303 million in government revenues, and $579 million in total GDP. The PwC study focused on seven regions in the province, some of which specialize in certain types of products. In the Northeast, the region is home to 63% of the province’s oriented strand board (OSB) capacity in its two mills, a product that is heavily used across the board in building construction. LAVINGTON – A former government scientist has lost an appeal which argued that a controversial Lavington wood pellet company should not have been issued a licence to discharge certain levels of contaminants into the air. Thomas Coape-Arnold had argued a permit issued by the province authorizing Pinnacle Renewable Energy to discharge contaminants to the air should have not allowed certain emissions and should have had conditions attached to it. However, three Environmental Appeal Board panel members dismissed Coape-Arnold’s appeal against the company and the Ministry of Environment and Climate Change Strategy in a decision published March 27. The issues surrounding the Lavington pellet plant and the air quality in the valley go back five years and caused a considerable amount of controversy within the local community, especially given its proximity to nearby Lavington Elementary school. Nova Scotia’s premier met with the union representing workers at the embattled Northern Pulp mill Wednesday, telling them he thinks the mill has a future – but only if it meets environmental standards. The mill’s parent company has warned it will be shut down unless it can dump millions of litres of waste water directly into the Northumberland Strait. Unifor’s Atlantic regional director, Lana Payne, said the union stressed at a meeting with Premier Stephen McNeil Wednesday that the mill is vitally important to forestry sector jobs and to the 240 workers at the mill that the union represents. Payne said the union told McNeil it believes there is a way forward to close the mill’s current Boat Harbour effluent facility by the January, 2020, deadline that will protect jobs and the environment and respect the wishes of First Nations. A lawsuit filed by a former Roseburg Forest Products employee in Douglas County Circuit Court accuses the company of unlawful employment practices at its plywood plant in Coquille. Nora Edera, who filed the claim March 20 through Crispin Employment Law in Portland, is seeking $850,000 for personal and economic damages. According to the lawsuit, Edera worked at the plant from 2003 to October 2018 in multiple departments. According to her claim, she was involuntarily terminated Oct. 24, 2018, as retaliation for bringing complaints to the Oregon Occupational Health and Safety Administration, Carpenters Industrial Council local union and Bureau of Labor and Industries regarding an alleged unsafe work environment. Edera could not be reached for comment. 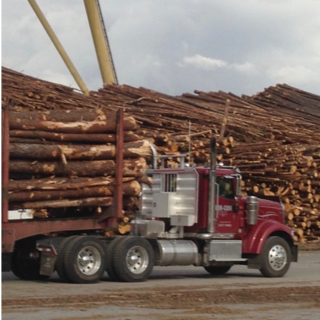 A spokesperson for Roseburg Forest Products denied the allegations. GOODYEAR, ARIZONA – Window and door manufacturer Andersen Corporation is investing $105 million to build a 500,000 square foot manufacturing campus in Goodyear, Arizona. Andersen recently held a groundbreaking ceremony for its newest manufacturing and distribution facility, at which it expects to create more than 415 jobs during the first phase of its expansion. Andersen’s Goodyear facility will manufacture Andersen 100 Series products, one of its most popular products, made from Fibrex wood composite. The material contains a blend of wood fiber, mostly reclaimed from Andersen manufacturing processes, and thermoplastic polymer, some of which is also reclaimed. Neal Communities announced it would stop production on its affordable cottage home product. The Sarasota, Fla.–based production builder attributed its decision to the rising cost of land, labor, and materials—tariffs in particular. …Out of all the factors that affect the sales price of a new home, materials price changes had the biggest impact in 2018, according to Tony Callahan, president and CEO of Kennesaw, Ga. …For a time, after the Trump administration levied new tariffs averaging 20.83% on Canadian softwood lumber in 2017, lumber costs were the most notorious of the industry’s material cost issues. …Builders can choose to source materials from countries not covered by tariffs, or from within the U.S. This has rung especially true in lumber sourcing, where builders have turned to U.S.-grown lumber over Canadian wood for some, but not all, framing applications. WINNIPEG – Construction practices, policies, building and energy codes and other regulations need to change if Canada is to meaningfully reduce GHGs from the building sector, a new report finds. Emission Omissions: Carbon accounting in the built environment, a new peer-reviewed study conducted by the International Institute for Sustainable Development (IISD), examines Life-cycle Assessments (LCA) – the primary analysis tool … to account for GHGs and other impacts of building products at each phase of their “cradle-to-grave” lifespan… The report finds while they are the best-available tool for evaluating GHG performance of alternative building products and designs, current LCAs have limits that may misdirect efforts to reduce GHGs from the built environment… Major findings include: LCAs do not track or account for “biogenic carbon” from the extraction and end-of-life stages of wood building products. …This may represent up to 70 per cent of total lifecycle emissions. OTTAWA – In communities across the country, the buildings where we live and work are responsible for over 30% of Canada’s GHG emissions. …The Cement Association of Canada (CAC) has been a vocal champion for putting science at the centre of a national effort to reduce carbon emissions from the built environment. …The IISD study Emission Omissions: Carbon accounting gaps in the built environment confirmed that Life-cycle Assessment (LCA) is the best approach we have for analyzing the carbon cycle in the built environment and reducing emissions. However, the research found that current LCA tools have serious shortcomings. They overlook significant sources of carbon and these gaps could result in misdirected efforts to reduce GHGs. …However, they singled out forestry products for urgent attention because current LCAs ignore emissions from “biogenic carbon.” The study found that these omissions could represent up to 72% of the life-cycle emissions of wood products. In a new report, 25 examples of using wood in construction showcase that reducing the carbon footprint of our buildings is not only possible, but that it results in remarkable, healthy living environments. The cases demonstrate how the Nordic countries are taking important steps to reduce carbon emissions. …The construction industry is responsible for approximately a third of all carbon emissions globally and by 2030, total construction output is expected to grow by 85 per cent. Aiming to support and accelerate the use of wood in construction in the Nordics, the report “Wood in construction – 25 cases of good practice” is published by the Nordic Wood in Construction Secretariat. It was as though they were performing a series of dance moves—each foot moving slightly behind or beside the other deliberately—however, in this case, missing a step didn’t mean missing a beat, it meant falling out of a helicopter into a wildfire. Okay, not a real fire. But the helicopter was real enough as members from B.C. Wildfire Services practiced their hover-exit maneuvers at the Hope airport Tuesday afternoon. Unlike structure fires, or fires within populated areas, forest fires don’t always have roads that can deliver firefighters to an active burn, so a helicopter is used to literally drop them where they need to be. “If the terrain is very difficult and we can’t find a flat spot to actually land the helicopter … we use the hover-exit technique to get a crew on the ground to a fire,” explained Brian Davis, crew leader for the Initial Attack team. Organizers hope to rally Alberni Valley residents around valley watershed protection by staging a march through the city on Saturday, April 6. …“Our big concern here is watersheds,” said Edna Cox of Save Our Valley Alliance. …The extent of logging on privately held forest land surrounding the city puts at risk drinking water quality throughout the valley, Cox said. “If that water quality deteriorates sufficiently, we will require a water treatment plant,” she added. …A watershed advisory committee, which used to allow local input into decisions affecting Port Alberni’s water supply, was abandoned. Cox and others want to see something similar. The Alberni Valley group is affiliated with Vancouver Island Water Watch Coalition. Watershed issues prevail across the Island amid broader concerns stemming from logging practices. 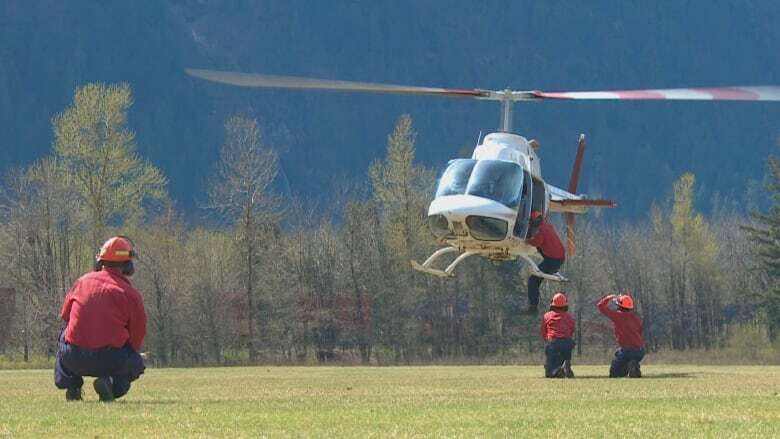 As a helicopter hovers above a field in the Fraser Valley, ground crews practise how to descend into a fire zone, prepping for what could be another busy wildfire season. …Crews and officials across B.C. are in preparation mode ahead of the summer, following the two most destructive wildfire seasons recorded in B.C.’s history. While Davis’s comrades practise for action, several significant fires have already been sparked across the province, from Squamish and Vancouver Island to the Interior and northern B.C. A fire north of Squamish, believed to be human caused, is now burning over 50 hectares, according to the wildfire service’s latest update Tuesday evening. …But fire ecologist Robert Gray says it’s not enough for individuals to take precautions. Entire forests have to be thinned. Logging debris should be cleared up sooner and trees taken to mills faster than called for in current regulations to reduce wildfire hazards, indicates a B.C. Forest Practices Board finding released today. The board drew the conclusions after a member of a wildfire response team at the Shovel Lake fire last summer complained that he saw lots of debris and decked timber in the fire zone. “He was concerned the materials contributed to the spread and severity of the fire,” the release stated. During the investigation, a dozen cutblocks within the perimeter of the fire were examined to determine whether the forest licensees had met legal requirements to abate fire hazards. …Kevin Kriese, chair of the Forest Practices Board said the investigation found that licensees had done what they were required to do. VICTORIA – Decked timber and logging debris in the Shovel Lake Wildfire made firefighting more difficult, according to a complaint investigation report. A member of a wildfire response team complained to the board in 2018 after seeing large amounts of logs and debris on the ground. He was concerned the material contributed to the spread and severity of the fire. The investigation looked at over a dozen cutblocks within the perimeter of the fire to determine whether the forest licensees had met legal requirements to abate fire hazards. The investigation found that the licensees had either abated the hazards as required or the time period allowed for hazard abatement had not yet passed. In some cases, the licensees were still actively logging when the fire swept through, so the decked logs and debris were consumed by the fire before the licensees had a chance to deal with the hazard. When longtime local residents talk about the heyday of the timber industry, they often mention the jobs that are no longer there. Today, as Oregon grapples with the threat of major wildfires every summer, a broad consensus has developed around the need to thin overgrown forests. Doing that on a large scale has the potential to provide new jobs in the woods — not enough to replace the logging workforce of 40 years ago, but providing employment while restoring forest health and fire resilience is an attractive combination, if ways can be found to fund it. State Sen. Jeff Golden, D-Ashland, has proposed building on the work now being done by Lomakatsi Restoration Project in the Ashland Watershed and elsewhere by creating a statewide youth corps that would pay teenagers to do forest clearing. …Forest industry work employed 80,000 Oregonians in the 1970s. By 2017, that number had dropped by 60 percent, according to the Oregon Office of Economic Analysis. SALEM, Ore. — A judge has defended former President Barack Obama’s expansion of a national monument in Oregon, ruling against a logging company’s lawsuit that said the expansion deprived it of timber. Environmental groups hailed Tuesday’s ruling. 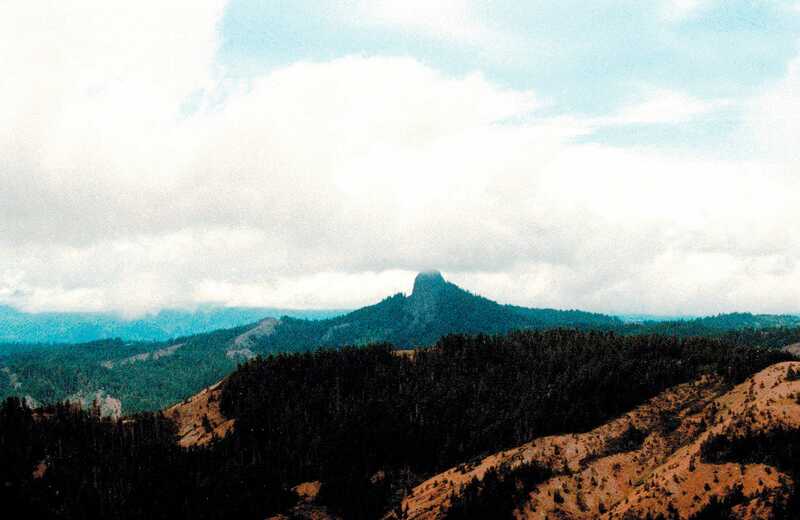 The case ironically put the Trump administration in the position of defending Obama’s expansion of Cascade-Siskiyou National Monument, even after Trump’s former Interior Secretary Ryan Zinke recommended shrinking it. In the lawsuit against President Donald Trump, lawyers for environmental groups sided with U.S. Justice Department lawyers in fighting the logging company. 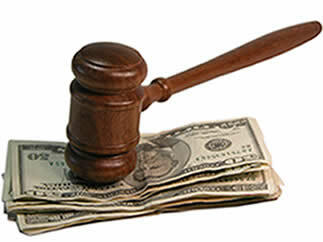 Two similar lawsuits are being heard in federal court in Washington. …Kristen Boyles, attorney with Earthjustice, a San Francisco-based legal group that is one of the defendant-intervenors in the three lawsuits, applauded the decision by U.S. Magistrate Judge Mark Clarke. RUTLAND, VT—Green Mountain National Forest (GMNF) officials announced today that they, in partnership with local fire departments and land management agencies are planning to use prescribed fire to treat approximately 200 to 600 acres of the more than 400,000-acre national forest. The Forest Service says that it will use prescribed fire as a management tool to reduce heavy accumulations of grass and brush to reduce the potential for large uncontrollable wildfires, to restore critical wildlife habitat, regenerate early successional growth, and improve overall watershed conditions on the national forest in Vermont. In the coming weeks, GMNF fire personnel will use prescribed fire in certain areas on the Forest. The prescribed fires are not likely to impact local residents, although smoke will be visible from the surrounding area and adjacent landowners may smell smoke. SOUTH CAROLINA — Orangeburg County Council is creating a system to recoup the cost of repairing damage to county-maintained roads. “This is a situation to protect the citizens of Orangeburg County and for the citizens who live on these roads,” County Administrator Harold Young said. Council gave first of three required readings on Monday to an ordinance that would allow the county to recoup costs from contractors or subcontractors — such as construction and logging companies — who are responsible for damage to county-maintained roads from extraordinary use. There are estimates that native forests cover about 19 percent of Australia’s land mass. Aside from providing a resource for the timber industry, native forests also help provide water, a home for native species, a destination for tourists, and operate as a carbon storage. So what’s their future? Professor David Lindenmayer, a Forest Ecologist with the Fenner School of the Environmental at the Australian National University, also an Australian Research Council Laureate Fellow; and by Joe Fontaine, an ecologist and Lecturer in Environmental Science at Murdoch University joined Nightlife to look into that question. For [climate change] remedies, advocates look to cuts in fossil-fuel use or technologies to capture carbon before it enters the atmosphere—both of which are crucial. But the most powerful and cost-efficient carbon capture technology… forests are absolutely essential in mitigating climate change. …In fact, natural climate solutions such as conservation and restoration of forests, along with improvements in land management, can help us achieve 37 percent of our climate target. Forests’ power to store carbon dioxide is staggering. …For this reason… leaders must create and enforce policies to prevent deforestation; foster reforestation of degraded land; and promote the sustainable management of standing forests in the fight against climate change. …So now is the time to increase forest protection and restoration. …More trees mean better lives on a more sustainable planet. We cannot solve climate change without forests to help capture and store carbon dioxide emissions made by humans. …With planting, we must be wise custodians of the mature forests that are already serving to reduce the amount of CO2 in the air, as well as storing vast reserves of carbon. These forests are struggling to adjust to rapid changes in our climate. …From high-intensity wildfires and declining forest health from pests and pollution, the effects of climate change are worsening the threats to forests and reducing forest productivity. This is a pivotal moment for our forests and the health of our planet. 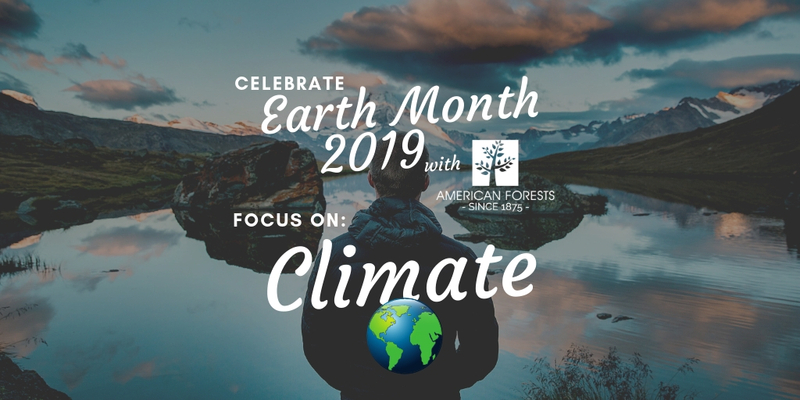 …American Forests, as the nation’s first forest conservation organization, is taking charge and leads a 37 member Forest-Climate Working Group (FCWG), the nation’s only sector-wide coalition working on forest-based carbon mitigation.